BELO HORIZONTE, BRAZIL–(August 3, 2016) – Jupiter Gold Corporation (“Jupiter Gold” or the “Company”) is a new Brazil-focused gold company. 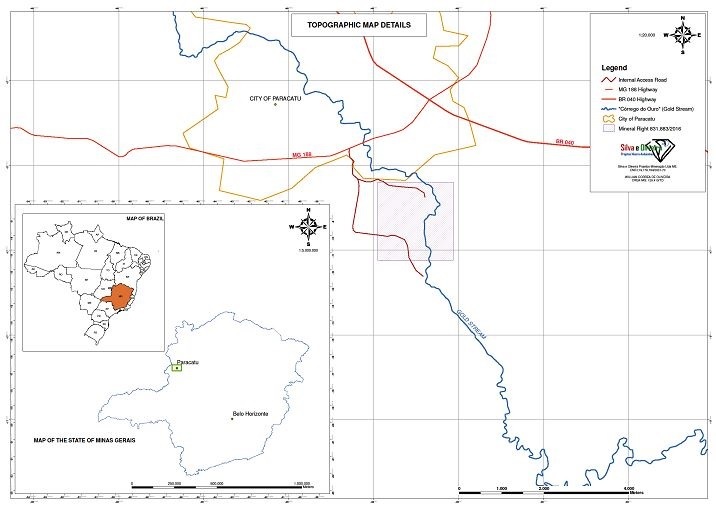 Today, Jupiter Gold, through its local subsidiary, received from the Brazilian mining department, Departamento Nacional de Produção Mineral (“DNPM”), the ownership for the mineral right designated by the number 831.883/2016 in DNPM’s database. 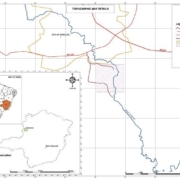 Its current status level within DNPM is that of exploration permit (“Requerimento de Pesquisa”), the initial stage for a mineral property. 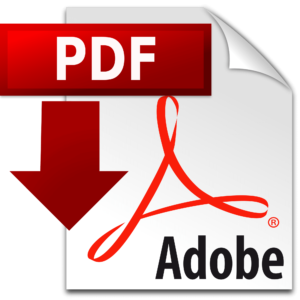 DNPM 831.883/2016 is located in the municipality of Paracatu, state of Minas Gerais, in Brazil. The city of Paracatu was founded in the early 17th century by pioneers searching for gold and silver. Today, Paracatu is a city with 100,000 inhabitants. Only 1.2 miles from city center sits the largest gold mine in Brazil, on a deposit named “Morro do Ouro”, which is owned and operated by Kinross Gold, one of the world’s largest gold producers. It annually produces 480,000 ounces of gold and is also the largest gold deposit in Brazil, with 16 million ounces of gold (6 million ounces of past production and 9.6 million ounces in reserves, as of 2015 Kinross Gold’s published estimates). DNPM 831.883/2016 has a surface area of 312.66 hectares (approximately 773 acres). There has been extensive gold production in the Paracatu region from alluvial deposits, mainly along a river stream called “Córrego do Ouro” and also known as “Córrego do Rico.” This watercourse that starts near Morro do Ouro mine has, for millions of years, eroded rock and transported gold for the formation of alluvial deposits. Our mineral right DNPM 831.883/2016 is crossed by such watercourse. Mineralization in DNPM 831.883/2016 is likely to be secondary and gold could potentially be retrieved from the alluvium by GRUs.